The residents of Louisiana are all too familiar with the fact that history repeats itself. In response to the devastating floods in our area, the LDMA is highlighting material in the collection that reminds us that our home state has faced similar tragedies before and persevered. 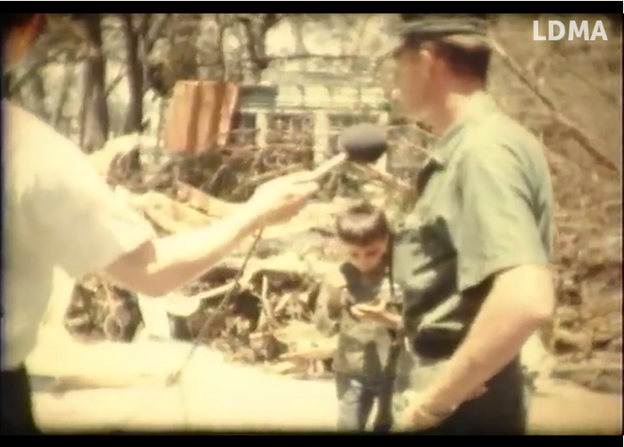 Footage from 1969 up to just a few short years ago documents the state’s persistent battle with the elements, and the people of Louisiana’s wherewithal and collective strength in trying times. The segment features an interview with a young man who points out the remnants of his family’s home. Other interviewees were more fortunate, sustaining only minor damage to their houses. “We were really lucky,” says one such Louisianian. 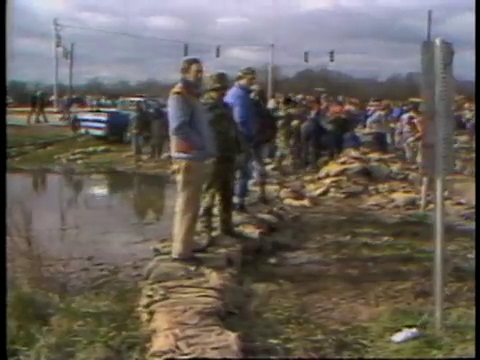 President Ronald Reagan visited Monroe to assess the damage caused by flooding in January of 1983. Host Beth Courtney reports that more than 10,000 people were forced from their homes due to the “havoc caused by the forces of nature” in this episode of Louisiana: The State We’re In. 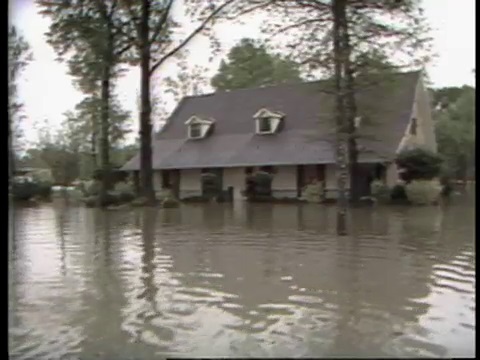 “It was like the bottom fell out of the sky,” said reporter Robyn Ekings, describing the 20 inches of rainfall Louisiana experienced in just 48 hours during April of 1983. This episode of Louisiana: The State We’re In documents the damage caused by the deluge, as well as footage of Governor Dave Treen and Baton Rouge Mayor Pat Screen visiting a sandbagging facility. Just a few years ago many Louisiana residents were faced with similar challenges due to flood damage after Hurricane Isaac. 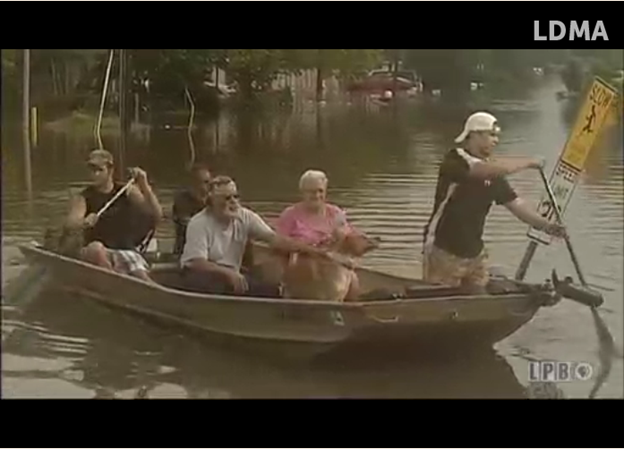 Host Charlie Whinham surveys the damage, and interviews victims of this natural disaster in the September 7th, 2011 episode of Louisiana: The State We’re In. Warning, this episode contains footage of livestock that died as a result of the flooding.